I love this salad! Nice, fresh, simple and tasty. Exactly what you need after spending a weekend eating restaurant food and indulging in fat and sugar. Cut 2-3 tomatoes in halves and then quarters and then the quarters in halves. Arrange them in a dish. 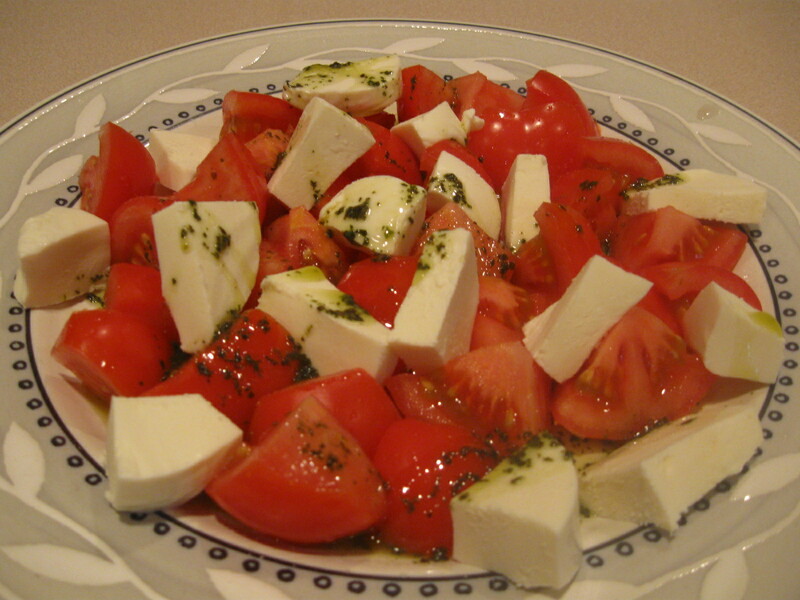 Cut fresh mozzarella in halves and then quarters. Arrange them next to the tomatoes. Beat or blend olive oil with basil paste and pour on top. If you have fresh basil, even better. Chop the basil and blend with the oil. Save some leaves for serving on top.